According to Chosun Ilbo, one of South Korea’s biggest newspapers, some people in South Korea are apparently getting cosmetic surgery for their pets. 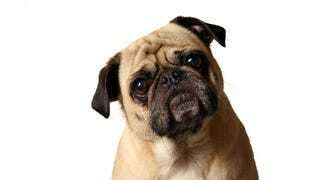 Another vet, named Dr. Yoon, told the paper that cosmetic surgery for dogs was “medically safe” and that it was “the owner’s right” to make their pet beautiful. Chosun Ilbo reports that it’s mostly dogs getting plastic surgery, with popular procedures including tail shortening to make the animal, ahem, cuter and ear trimming to make them pointier as well as procedures humans get like straightening wrinkles, double eyelid surgery, removing stomach stretch marks, removing fat, and even botox. Yes, dog botox. In recent years, South Korea has become famous (infamous?) for plastic surgery. I don’t have problems with adults getting plastic surgery (it’s your body, do what you like! ), and I think the Korean plastic surgery stereotype can be unfair. But, I do have problems with people having their dogs get it.